If you're on my personal Facebook, you may have already read about my obsession with Pumpkin Pie and Gingerbread Pop-Tarts. If you're not, I'm kind of obsessed with them because they are yummy and go well with my morning coffee. We were lucky enough to participate with BlogHer and Pop-Tarts for a Thanksgiving program, where I discovered that the Pumpkin Pie flavor makes an awesome cheesecake crust and Faith got to make a video of a fun turkey-shaped breakfast. I'm also giving away a $100 Visa gift card from BlogHer on those posts. 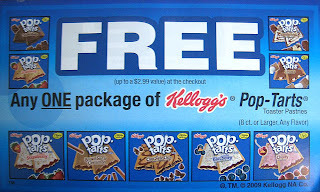 Anyhow, I also received some awesome coupons for free boxes of Pop-Tarts and thought, who better to share them with than my readers. I'm keeping this giveaway simple. Leave a comment below with a way for me to reach you (email, link to your blog, etc, just some way I can contact you if you win). The blog automatically adds numbers to your commments, so it's a nice easy way to count people. You're also more than welcome to enter the Visa gift card giveaway as well, just follow the links over to the Pumpkin Pie Pop-Tarts posts! The girls have been begging me to get the Gingerbread ones....I guess free ones would be great! I love pop tarts as a quick on the go breakfast. Personally i am obsessed with pumpkin anything right now so im thrilled to know they have pop tarts in pumpkin flavor!!! My kids would love you forever. Hubby loves pop-tarts! He would love this. May have to run to the market and get a box today. Yummy! Me and my kiddo *love* anything pumpkin! I'm a new reader and SO glad I found this blog, because now I am really inspired and ready to get at some bento fun for my five year old daughter! Gingerbread Pop Tarts!? I didn't even know they made them. My husband loves any kind of gingerbread so I must hunt these down and maybe Santa will put some in his stocking this year. I love all of your cute Bento ideas. We have Uwajimya here to shop at but they are soooo expensive. My daughter is living in Korea for the year teaching English and I sent her your blog info and she has checked out some of your sponsor blogs and she is picking up bento supplies when she finds them and she is getting them for great prices. We are in love with that sausage cutter mold but she hasn't found anything close to that yet! Thanks for sharing your ideas for making healthy snacks and meals for kids more fun for them to eat! My little girl loves poptarts! The kids love pop-tarts for breakfast. I didn't even know they had these flavors, I just ran out of my, er, I mean my son's smores poptarts, time for a new flavor! Poptarts are well loved in our household. Thanks for the giveaway! I didn't know they made it until now, but I'll have to get the Pumpkin Pie flavor for my son. He loves Pop-Tarts! Omygoodness! I haven't tried either flavor yet! Can't wait! Yumm! I love Pop Tarts! I haven't had one in years, but gingerbread sounds good! 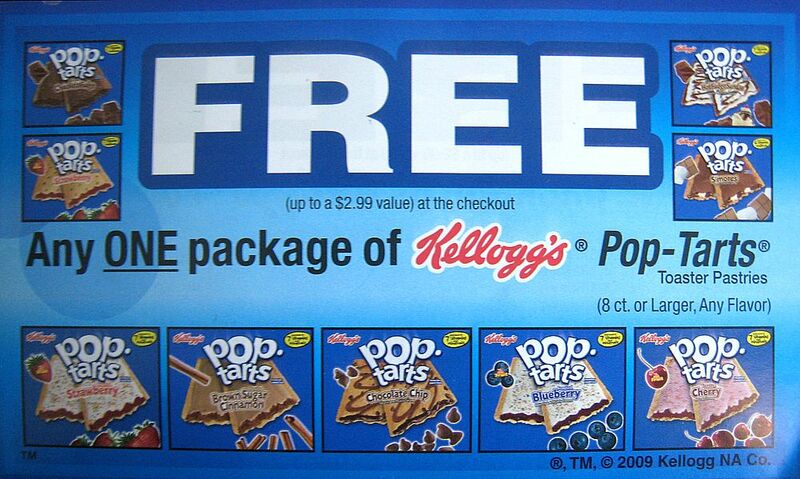 I love Poptarts, but I've never tried (or even seen!) of those flavors! Sounds yummy! I love them uncooked too! Pop Tarts are a must have! Thanks for the opportunity to win some free coupons. Just hearing the words pumpkin pie makes my mouth water! Can't wait for Thursday! How fun, I'll give them a try. I'm surprised hubby hasn't bought them yet since he loves pumpkin as much as you. i've only tasted the strawberry and choc marshmallow ones and love them both. Would like to try other flavour too! This sounds so yummy, I need to try them! :) Thanks for the giveaway.